Although I love the classic flap bag, I ended up falling in love with this even more after I actually saw my Mom take this bag home. I couldn't take my mind off it after seeing it, so I decided to match with her and get the same one. I really love the structure of the bag, how it's the perfect size for my frame, and how I can put so much stuff in it compared to classic flap bag. To this day, I cannot stop gushing about it. 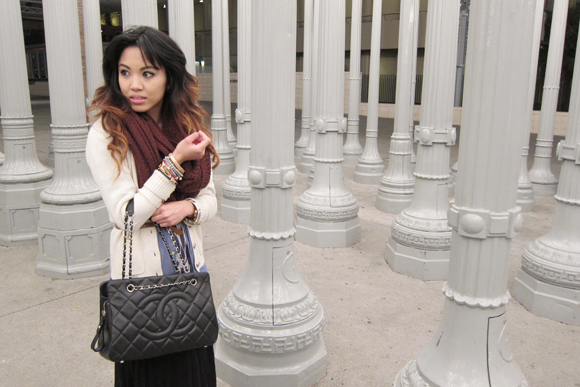 And about the outfit, LA nights have been colder lately, so I'm happy that I can still find use for my scarves and be able to layer my clothes. And can I just tell you how much I love this chambray shirt (also worn here and here)? This is one of the pieces in my closet that I tend to gravitate to the most and gets the most wear. It's just so versatile. 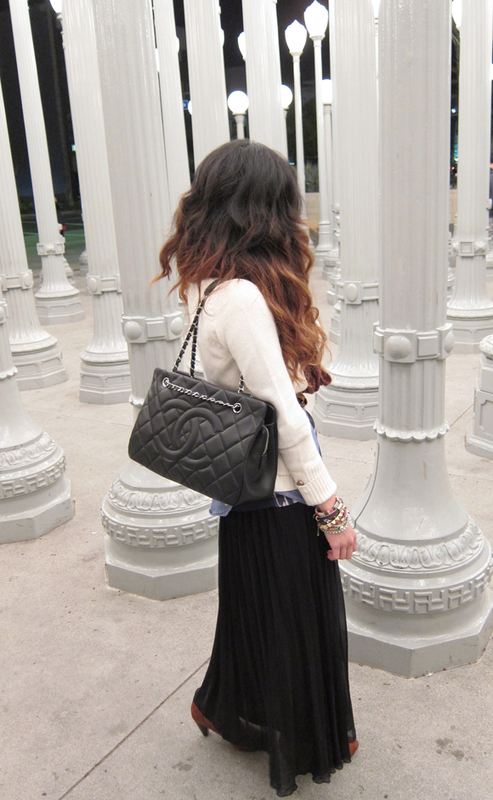 Love the Chanel bag! Everyone deserves to treat themselves! I love all your bracelets! 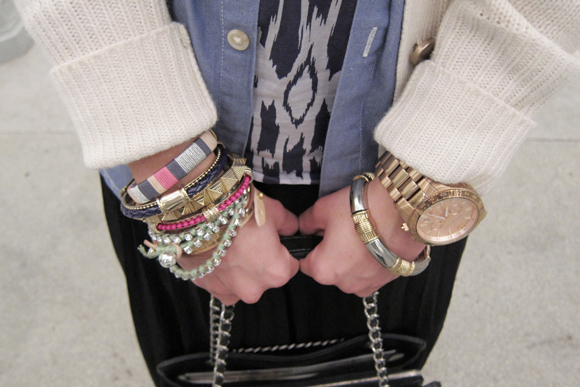 Your arm candy makes me jealous! And I wish I knew how to make my ombre hair look as cute as yours! Inspiring. Pls keep posting your very lovely and smart choice of style. I followed u in instagram and fb as well coz I can't get enough of your passion for fashion. So glad I found u in bitten beauty. Keep it up! I really like your ombre hair! beautiful! Great choice by the way. Such a classic! You're so beautiful! and OMG Chanel...Ammmmazing!